Every stone is unique and has its own landscape. 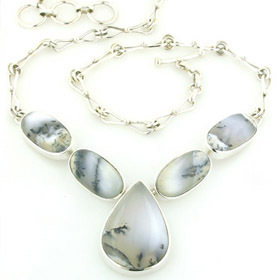 Wear your dendritic agate necklace with a pair of our dendritic agate earrings and wait for the compliments! 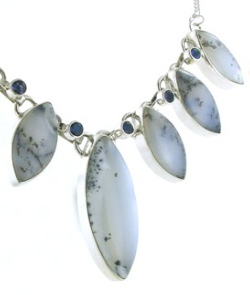 Our silver dendritic agate necklaces feature natural, top quality stones. 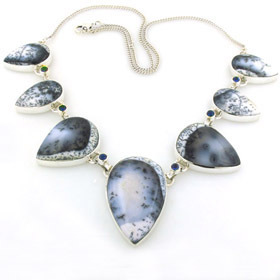 Dendritic agate looks fabulous mixed with haematite jewellery, black onyx jewellery and iolite jewellery. 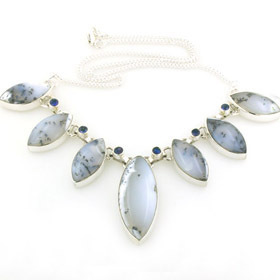 Enjoy free delivery anywhere in the UK on your dendritic agate silver necklace.